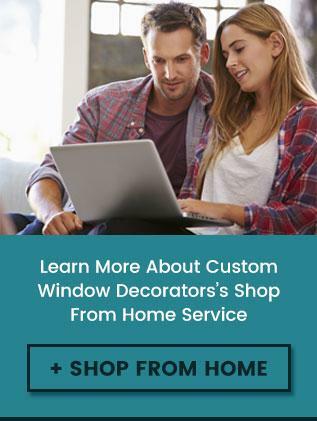 Everything you need for unique or traditional window treatments is available at Custom Window Decorators. Our customer service, quality of treatments and passion for the industry is second to none in Lewiston, ME and the surrounding area. When you need to pick from the best window treatments to make your residential or commercial space stand out, we recommend stopping by the showroom at 1478 Lisbon Street or calling us at the number above. Owner Mike Favreau opened Custom Window Decorators in 1987 as a vertical blind manufacturer. The company moved twice due to the increase of product offerings and the space needed to house those items. Our expanded showroom at 1478 Lisbon Street in Lewiston, ME is the result of growth in the industry. What began with the manufacturing of vertical blinds has grown into a full line of window treatments and accessories. Custom Window Decorators is a leading window treatment company serving Lewiston, Auburn, Portland and the rest of Androscoggin County in the state of Maine. Custom Window Decorators offers modern motorized window treatments that allow you to control lighting and privacy preferences with the flip of a switch or your smartphone. Here at Custom Window Decorators, we will evaluate your existing stage curtains to see if they meet regulations and if they don’t, we will make sure they do. Are you looking to make your home the gem of the neighborhood? Have you considered window treatments? Sprucing up your home can take a lot of different forms, and the services by Custom Window Decorators are modern and fashionable. Give us a call, stop by the showroom or contact us by sending a message. You can also look at the photo gallery of our beautiful products and services. You can learn more about us on the ensuing pages.